It started on a day when my husband and I had a meeting in Saint Petersburg, Florida. Before the meeting we decided that we would grab some lunch so we parked on Central Avenue and walked the strip. We came across two Asian inspired restaurants, but the one that caught my eye was the one with a pink logo of and “A”. It was a beautiful day so we sat outside and our waiter came to welcome us followed by a beautiful lady in a white dress with the huge smile on her face. She introduced herself as Thuy, the restaurantuer, who owned the restaurant we were ordering from and the one right next door. I was impressed to say the least. A womenprenuer, running two restaurants side by side is AWESOME-SAUCE! Thuy and I connected and as we ate lunch I turned to my husband and told him that I will throw an event at this facility and I will call it Sassy Sushi Hour as a signature event for the Change Your Life with Beauty brand. Fast forward to last night. The Sassy Sushi Hour hour was epic! The ladies who came out and supported the event were beautiful, brilliant, bosses all about their businesses and I couldn’t have been more proud to be their host. 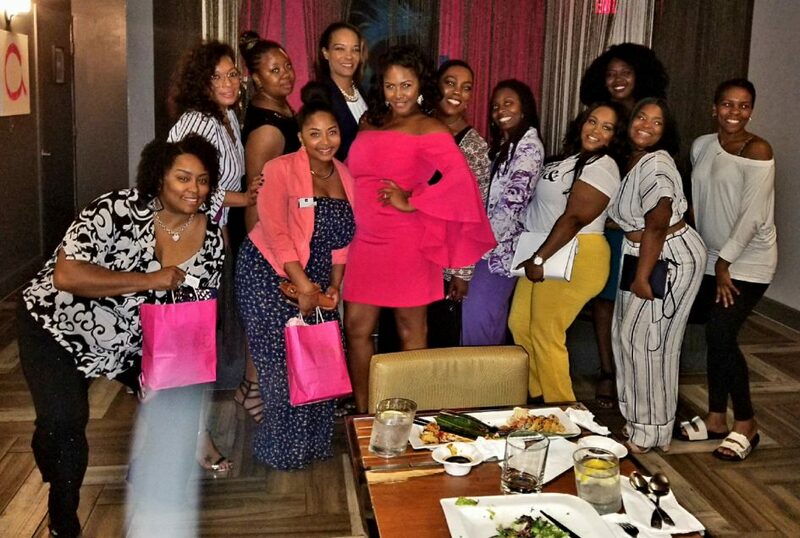 Attendees included real estate agents, non-profit founders, marketing experts, CEO’s, lead curriculum specialist, clothing boutique owners, make up artist/skin specialist, comedians, and authors! To be surrounded by so much power is astounding.